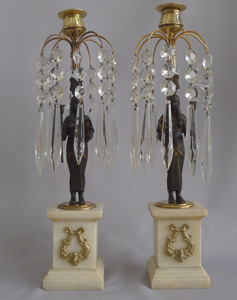 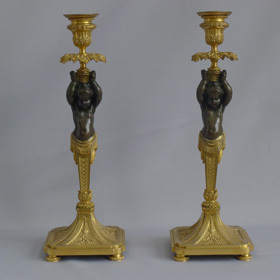 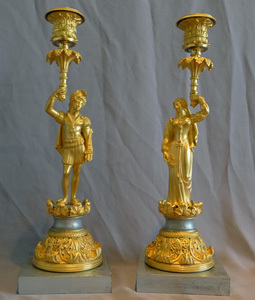 Magnificent pair of English Regency figural candlesticks in the manner of Thomas Hope. 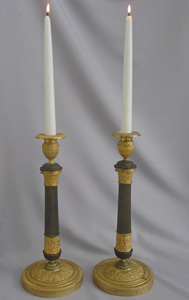 Antique pair French Charles X ormolu and patinated bronze candlesticks. 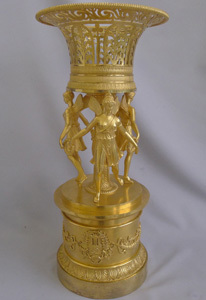 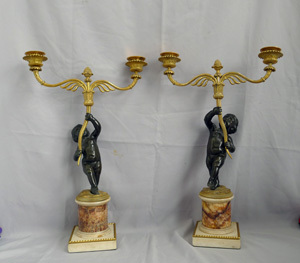 English early 19th century figural three branch candelabrum in ormolu and patinated bronze. 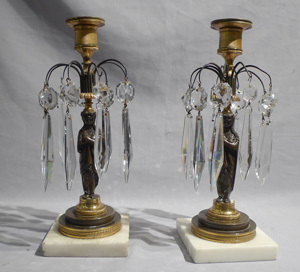 Fine antique early 19thC. 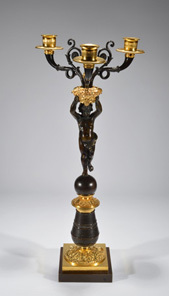 Ormolu, patinated bronze, fleurospar and white marble figural candelabra. 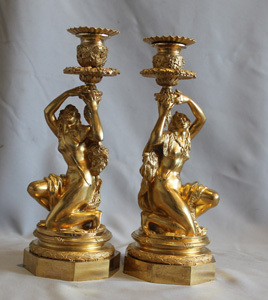 Fine Antique French Empire pair of ormolu cassolettes. 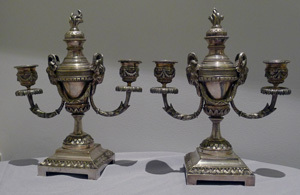 Pair antique silvered bronze candelabra/cassolettes in the manner of Mathew Boulton. 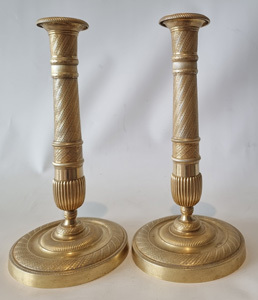 Fine antique French Empire pair of ormolu candlesticks with original hand cut threads. 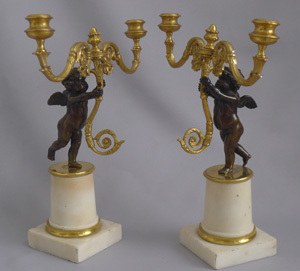 Antique French Empire ormolu candlesticks. 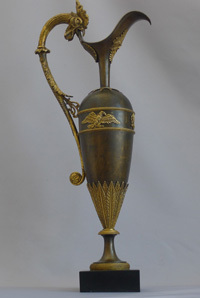 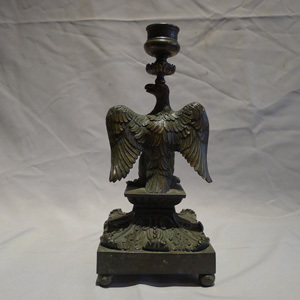 English Regency patinated bronze candlestick in the form of an eagle. 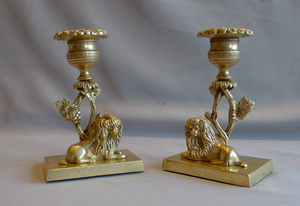 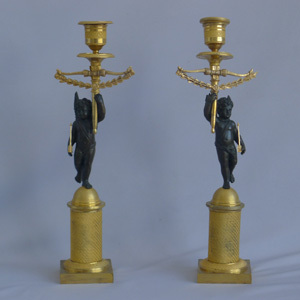 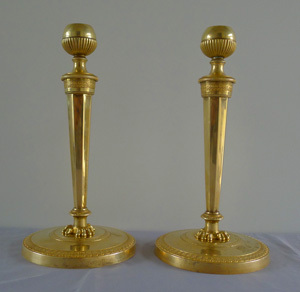 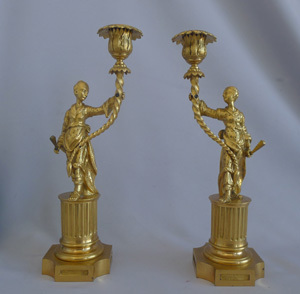 Antique pair of French ormolu candlesticks in the Louis XVth rococco style. 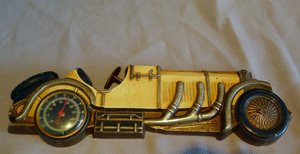 Vintage tin plate classic sports car thermometer. 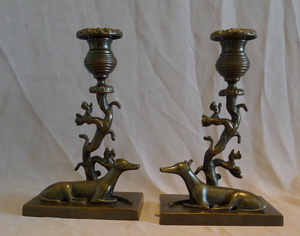 Antique late English Regency naïve true pair of animalier candlesticks of greyhounds and squirrels. 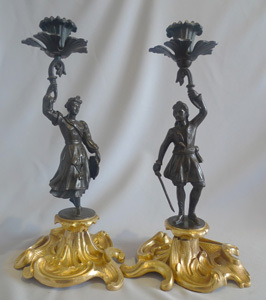 Antique French figural, Gothic pair candlesticks on silvered bases, Charles X period. 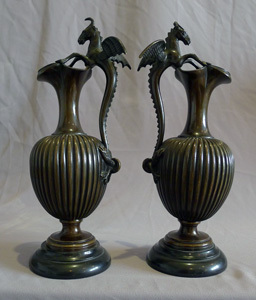 Antique pair of fine patinated bronze and marble urns probably Italian. 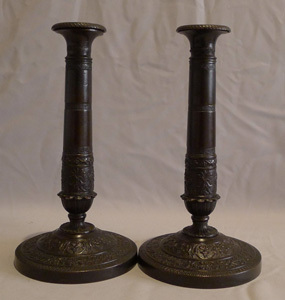 Pair of patinated bronze candlesticks, early 19th century. 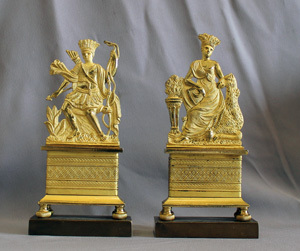 Antique English Regency ormolu mantel piece objects of American Indians. 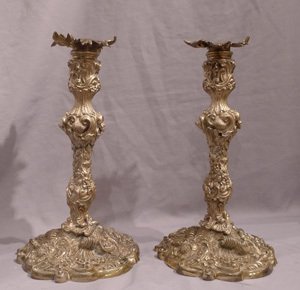 Antique Pair of French ormolu candlesticks celebrating viticulture. 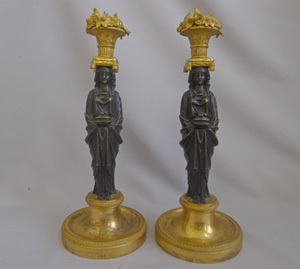 Antique pair Greek Revolution Hellenistic figural candlesticks with figure of hero. 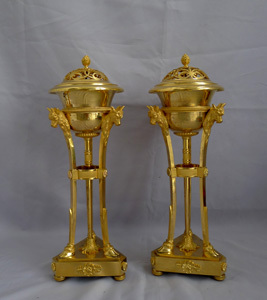 Antique true pair of neo-classical ormolu and rouge marble covered urns, probably Russian. 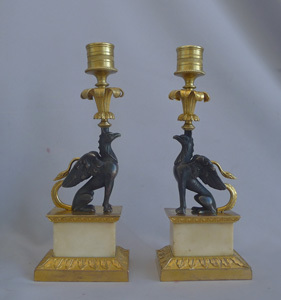 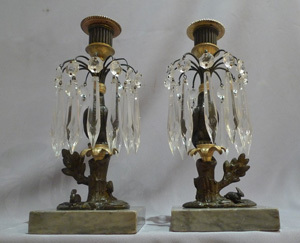 Pair antique English Regency lustre candlesticks in marble bronze and ormolu of owl and rabbit. 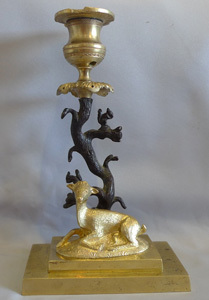 Antique English Regency candlestick of deer and squirrels in patinated bronze and ormolu. 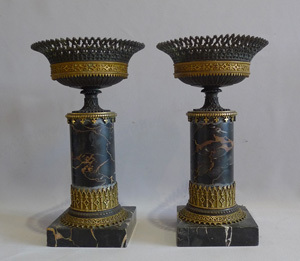 Antique Pair Gothic urns in ormolu, patinated bronze and marble. 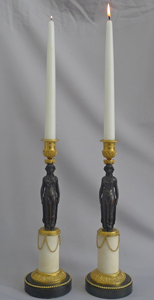 Antique English Regency candllestick lustres in Egyptian revival. 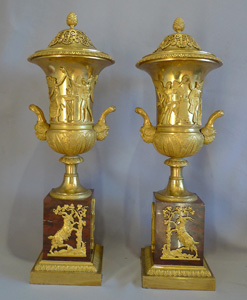 Pair English Regency naïve ormolu candlesticks with King Charles spaniels. 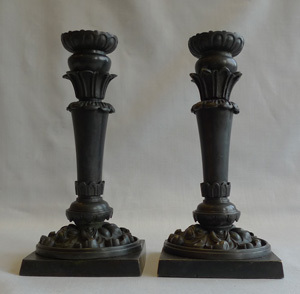 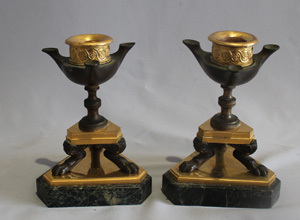 Pair English late Regency patinated bronze candlesticks. 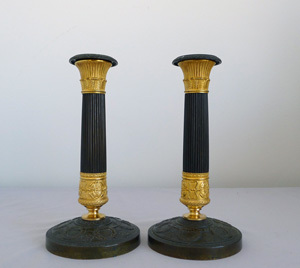 Antique English Egyptian revival table lustre candlesticks.